The University of Wyoming is revamping its 20-year-old systems in finance, human resources, budgeting and planning, grant management, and supply chain management with a move to the Oracle Cloud. The initiative, called WyoCloud, aims to "help UW respond to today's opportunities and challenges by enabling department staff to access timely, accurate information at the right time to run the institution more efficiently," according to a press release. The implementation combines Oracle's Enterprise Resource Planning (ERP) Cloud, Enterprise Performance Management (EPM) Cloud, Supply Chain Management (SCM) Cloud, and Human Capital Management (HCM) Cloud. Features include a unified user interface, embedded analytics, real-time reporting, contextual social collaboration, and device-independent mobile access. In particular, the SCM Cloud "will help enable strategic sourcing and resource planning and better procurement processes so UW can more efficiently use state resources," and the HCM Cloud "will allow UW's HR department to leverage the proper information and technology to better attract and support students," the news announcement said. UW's WyoCloud team is spearheading outreach, communication and training efforts to ease the transition to the new systems. In addition, a network of "Change Agents" at the university will provide information and feedback on the project. 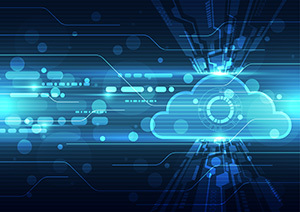 "We had a competitive proposal process where the selection committee unanimously chose the Oracle Cloud for its ability to help enable our university's pursuit of excellence based on their history of success in supporting the specific needs of higher education," noted Jennifer Chavez, director of application and database Services at the University of Wyoming, in a statement. "As a premier educational institution, it is our top priority to run our university in the most efficient manner to ensure our students succeed and compete."